It's so easy! Order online or by phone. 6 yard roll-off dumpsters are ideal for small-scale home cleaning projects. These will fit in narrow driveways and most alleys. A 12 yard dumpster can hold an amount of debris equivalent to the size of a mid sized car. 20 yard roll-off dumpsters are the most common choice for medium to large scale home remodeling and construction projects. 30 yard roll-off dumpsters are ideal for large-scale remodeling, demolition and construction projects. Order online save $20 - any time day or night. Delivery and pick up within a 24 hour period, great service. Whether you're a homeowner, a local business or large, multi-state corporation, our dumpster rentals can satisfy all your trash and junk removal needs. From Green Bay to Fond Du Lac, and everywhere in between, your waste management needs are covered. When you’re finished, just email us, and we’ll pick it up. Dumpsters will automatically be removed after 30 days. If you are finished with your dumpster before the 30 day period please contact us for removal. $10 per day over 30 days. Green Bay Dumpster Rental provides waste management solutions for all your garbage, waste, recycling, and debris disposal needs throughout the greater Green Bay area and Brown County. No matter what your project is, Green Bay Dumpster Rental has the roll off dumpster for the job. We offer multiple roll off sizing options, perfect for construction, home renovation, dumpsters for concrete, roofing tear-offs or even simply cleaning out your junk-packed garage. No matter what your dumpster rental requirements, Green Bay Dumpster Rental has the solution. Appleton Dumpster Rental offers trash removal services for the Fox Valley. Whether your project is a home renovation, new build, or a fall/spring cleanup, we have the right roll off dumpster for you. Need a dumpster for your business? No problem; with our online ordering system, you can order at your convenience and save $20! 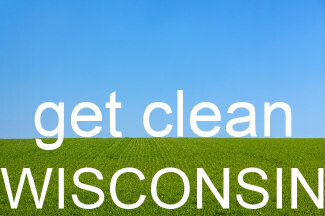 All of your trash removal needs in Appleton are covered by our services. Order a 20-yard or 30-yard dumpster and allow 24 hours for delivery. We’ll put it wherever you specify on your Appleton property. Be sure to check Appleton’s regulations if you want your dumpster on the street. You may need a permit. Let us know within 30 days when you are done filling the roll off dumpster. We’ll pick it up within 24 hours. Use Oshkosh Dumpster Rental for your next project. No matter the load, we have you covered. Simply choose the size and we’ll drop off a dumpster. Just fill it with your trash and we’ll haul it away when you’re done. We’re the most cost-effective and courteous roll off rental service in the Oshkosh area. Not only do you save $20 by ordering online, but it also offers the convenience of ordering whenever you want. Be sure to check Oshkosh’s city regulations to see if you need a permit to keep your dumpster on the street. Once you have your dumpster, you have 30 days to fill it up; just let us know when you’re done! Need a dumpster? Fond du Lac Dumpster Rental offers a cost-effective, courteous, and easy-to-use service to make your next project a cinch. Order over the phone, or save $20 and order online on your mobile device or computer. We have a 30-day base rental period which is more-than-double the national average! Twenty and thirty yard roll off dumpsters complete our arsenal for the Fond Du Lac area. Let us know when you are done with your dumpster and we will have it removed in approximately 24 hours. Order a dumpster for Sheboygan and save $20. You can rent your dumpster for 1 day or keep it for 30 days at no additional cost. We rent dumpsters for dirt, concrete, yard debris and general trash. Residential and business roll off dumpsters with a high service value at an affordable price. Dumpster prices are listed here. Find out what you can and can’t throw into a dumpster. If you do not need a dumpster we can find a dump nearby. We also rent dumpsters for roofing and construction in the Sheboygan WI area. Dumpster rental in Manitowoc has never been easier. Use our service for seasonal cleaning, new home building, renovations, or for your business in the Manitowoc / Two Rivers area. Manitowoc Dumpster Rental’s courteous staff makes trash removal simple. Just follow these three steps: order a dumpster rental, fill, and call/email when you’re done. It’s that easy! 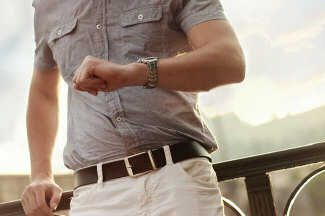 We offer a 30-day base rental period, which is a lot longer than most other rental companies. The national average is 5 to 14 days. Rent a 20 yard or 30 yard dumpster in Manitowoc at your convenience. Call or email us within 30 days of delivery to let us know you’re done with the dumpster. Please allow 24 hours for delivery and removal of your container. Our dumpster rental service rises above the competition by providing exceptional customer service, premium pricing, and no hidden fees. We understand our customers are looking for the right roll off dumpster with great service for the right price. Our bargain-priced roll off dumpster services deliver complete waste management solutions for all your waste removal requirements. Whether you're a homeowner, a local business or large, multi-state corporation, our dumpster rentals can satisfy all your trash and junk removal needs. From Green Bay to Fond du Lac, and everywhere in between, your waste management needs are covered. When you’re finished, just email us, and we’ll pick it up. Dumpsters will automatically be removed after 30 days. If you are finished with your dumpster before the 30 day period please contact us for removal. $10 per day over 30 day period. Green Bay Dumpster Rental has longer rental periods, ensuring you have enough time to finish your cleanup project. Whether you're roofing your home, completing a home renovation or remodeling project or simply throwing away a lot of debris and refuse, you can trust the professional team at Green Bay Dumpster Rental to ensure the process is expedient and hassle-free. Roll off dumpsters are great for annual spring cleaning, concrete, asphalt and construction debris removal, and property demolition projects. Contact Green Bay Dumpster Rental to find the right dumpster rental solution for the job. Waste management services from Green Bay Dumpster Rental makes your next cleaning or construction project simple. Additionally, dumpster rentals in Appleton, Oshkosh, Fond du Lac, Manitowoc, and Green Bay WI are an inexpensive, dependable and stress-free solution for your roll off dumpster rental needs. Our dumpsters and roll offs in Green Bay are offered in 6 yard, 12 yard, 20 yard and 30 yard sizing options. Green Bay Dumpster Rentals is sure to have the perfect roll off dumpster for your next home renovation or waste cleanup project. 20 and 30 yard roll offs are available for Appleton, Manitowoc, Oshkosh, and Fond Du Lac areas in Wisconsin. Green Bay Dumpster Rental has the experience and expert knowledge to help you determine which size dumpster rental is right for your project. We will handle all logistical, delivery and roll off removal concerns, eliminating any potential issues. We will haul away your roofing shingles, remodeling, junk, home clean up, concrete and demolition debris in an expedient and professional manner. With Green Bay Dumpster Rental, you will not be subject to any hidden surcharge fees or extra charges for fuel or tipping. Our goal is to make ordering a roll off dumpster in the Green Bay, Appleton, Oshkosh, Manitowoc, and Fond Du Lac areas easy and affordable. We strive to achieve the highest customer satisfaction in hopes of earning your return business. Green Bay Dumpster Rental offers online dumpster and roll-off ordering, an excellent addition to our already simple ordering process. Our online ordering system allows for our customers to order their roll off dumpster day or night from any location they choose. Our online ordering system allows you to order a dumpster at your convince or you may call us during normal business hours and we promise not to drop you into an automated answering machine maze. Online ordering makes an already easy process faster and simpler than ever before PLUS YOU SAVE $20 on our already low dumpster rental prices. Order from your computer or mobile device today (or tonight)! 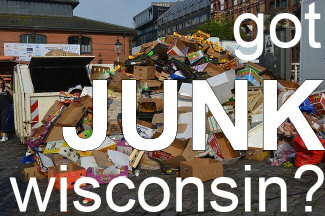 Rent a dumpster for Green Bay - Sheboygan - Appleton - Oshkosh - Manitowoc – Fond Du Lac - Champion – Tonet – Rankin – Algoma – Walhain – Luxemburg – Casco – Alaska – Kewaunee – Pilsen – Fontenoy – Curran – Denmark – Mishicot – Francis Creek –Two Rivers – Clover – Howard – Ashwaubenon – Allouez – Bellevue – De Pere – Sherwood – Brillion – Reedsville – Whitelaw – Stockbridge – Valders – Chilton – Wrightstown – New Holstein – Keil – Cleveland – Pulaski - Anston – Oneida – Hobart – Mackville – Hortonville – Little Chute – Kaukauna – Kimberly – Menasha – Neenah – Freemont – Winneconne – Suamico and everywhere in between! Green Bay renta del contenedor de basura.